Do You Need Commercial Plumbing Services in Melbourne? At Inner City Plumbing we have the expertise to provide you with an efficient quality plumbing services in Melbourne. Whether it’s maintenance services or residential plumbing services we can attend to any plumbing job in your commercial environment. We are committed to providing high quality service to both domestic and commercial clients. This is why we are open 7 days per week and 24 hours per day. It is also why we have highly trained and experienced plumbers who take pride in fixing our clients’ problems. We equip our plumbers with advanced technology, in order to make sure that each and every job is done right. We have been in this business for over two decades, and have helped many commercial clients in Melbourne throughout the years. We have done plumbing work on a wide range of office buildings, from large to small and old to new. Regardless of the plumbing system at your office, we have the knowledge to service and repair it. For a commercial plumber Melbourne contact us today on 1300 668 834 and learn more about what our commercial plumbing services can do for you and your business. Just like with our domestic plumbing services, we are able to handle plumbing emergencies, install hot water units, fix gas leaks, replace roofs and much more. Some of our specific commercial plumbing services are listed below. We can service a range of gas appliances or install new ones. We can also safely handle gas fitting lines if you need a replacement or a new set installed. For your convenience, we are able to perform any gas work outside of your normal business hours. Keep in mind that all gas appliances should be inspected by a qualified professional every year. Backflow problems are one of the most annoying plumbing issues, especially for companies. When the water flows throughout the pipes in the opposite direction, it causes harmful chemicals and contaminants to enter the drinking water. We can install a backflow prevention device which eliminates this problem and keeps the entire office safe. We can also help you decide which exact device is needed as that depends on the location of the property and overall risk of hazard. Fire mains need to be kept in the best possible condition in case they are ever needed to put out a fire. They offer protection for employees and the office building itself. This is why fire hydrants and reels should be checked and repaired often. At Inner City Plumbing, we can install, maintain and service fire mains, hydrants and reels. 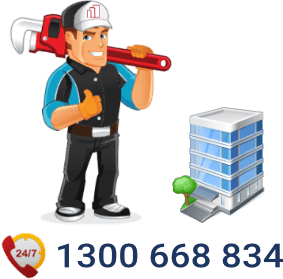 When you need a 24 hour commercial plumber Melbourne, you want to be sure that the Melbourne emergency plumber you are calling will be available. Inner City Plumbing know how to deal with a plumbing emergency and will not let you down. We have over 20 years of experience in taking care of plumbing emergencies. We know how to diagnose a problem quickly. Our 24 hour commercial plumber Melbourne has the experience to take care of your problem quickly. Call 1300 668 834 any time. 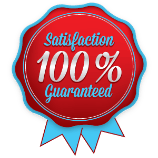 We guarantee that we will have a 24 hour plumber at your location within 60 minutes. You will not be getting a phone call from a lost 24 hour commercial plumber Melbourne asking you for directions. We are your local 24 hour Melbourne plumber and we know our way around town. A plumbing emergency does not mean a quick fix that needs further repairs at a later date. The last thing you want to do after we leave is call us again to make another appointment to finish your emergency plumbing job. That is why we make sure that every 24 hour commercial plumber Melbourne we send out is fully equipped with just about everything they need. If we do need to order a part, then we apply a temporary solution in place. From smaller leaks to a burst pipe, we know how scary flooding can be. The sound of a pipe bursting can be worrying! If you notice a sudden drop in water pressure, then you will want to check for a burst pipe right away. If you have a problem, give us a call to get a 24 hour plumber Melbourne at your door step promptly. It happens all the very often. A toilet can get clogged for a variety of reasons. A bad clog may not be something that you can deal with without a plumber. If the toilet backs up call us right away on 1300 668 834. We use our taps every day and can start to take them for granted quickly. A broken tap can lead to a massive water leak and drop in pressure. 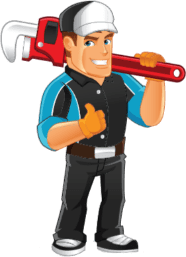 If your tap starts to leak to the point where it is starting to fall apart, do not hesitate to contact us immediately for a 24 hour plumber Melbourne. A flooded basement can be the result of a blocked drain, sewer or a damaged leaking pipe. If the water supply valve for your house is leaking, then that is a major problem. If your basement is flooding with water, then call your local commercial plumber Melbourne right away so we can limit the damage on 1300 668 834. When your hot water system goes out you cannot clean clothes or shower. We can repair or replace your water system and get you back to normal any time of the day or night. If you smell natural gas, call us urgently. We can help detect the leak and locate its source to keep you and your employees safe. Commercial Plumber Melbourne	Overall rating:	4.6	out of 5 based on 117	reviews.